Helios Design Group is a Boston architecture firm offering a fresh outlook, a love of collaboration, and a focus on details. 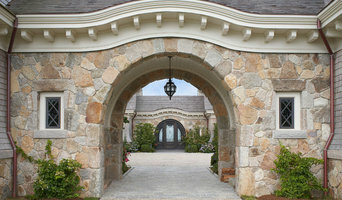 We’ve been designing high quality homes and other spaces for twenty years in Massachusetts and beyond. Our clients agree we excel at solving problems creatively, and bring the details together to form a satisfying whole. 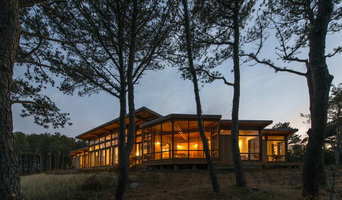 New England building traditions of composition, materials, and details inform each of our projects, in balance with contemporary lifestyles and technology. We listen carefully, think hard about the issues, and work closely with our clients to let obstacles give rise to innovative design. Charles R. Myer & Partners, Ltd.
Nicholaeff Architecture + Design, founded by Doreve Nicholaeff, believes that a home is much more than a place where you live, it should be a reflection of "how" you live. We invest a significant amount of time getting to know our clients because their "lifestyle" is the greatest influence on how we approach design. We analyze the context, the site, its characteristics - topography, geology, indigenous vegetation, wind direction, orientation, surrounding houses, borrowed view paths, and architectural vocabulary -- with a distinct focus on technology and its impact on the overall project. We call upon our collective education and experience to make tangible the dreams of our clients to create a home that is truly theirs... singular and uncompromising. How do I find the best Brookline architect for my home design project? It is best to hire a home architect who will be involved in all phases of the design process, from the initial concept to the completed construction. The architect is often the first person you will hire for your project. If necessary, they might also help you select and hire Massachusetts subcontractors, which can include the builders, engineers and landscaper. Interior architects are also involved in negotiating contracts for all involved participants. It is for these reasons that it is extremely important for you to have a good relationship with the Brookline residential architect you hire. He or she can be the tie-breaking vote between you and the general contractor and can be your biggest advocate during the construction process. Different architecture firms in Brookline, MA provide different services, so the scope of the work can span from pre-design environmental impact studies to selecting furniture and finishes, depending on what your specific needs are. It is very important to hire the right professional for the job. Remember that the most well-known or established designer might not provide the best architectural services for your needs. It all comes down to the individual project. Research and ask people whose work you like for recommendations. It's important to have somewhat of an idea of the style of house architecture that you prefer, as well as the amount you would like to spend. 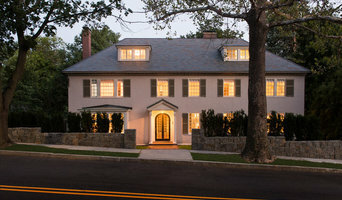 Residential architects in Brookline, MA are natural problem solvers. They will assess the entire situation and help you to solve your problems too. Don't settle for a single company too early. Call and interview a few. Make sure that you feel like your personalities will mesh well and that you like their professional perspective. Find a home architect in Brookline, MA on Houzz. 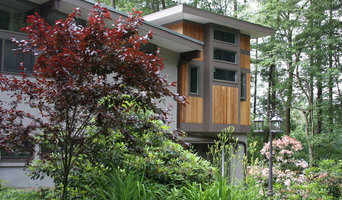 Narrow your search in the Professionals section of the website to Brookline architects. You may also look through photos of Massachusetts projects to find interior architects and building designers who have worked on a project similar to yours.